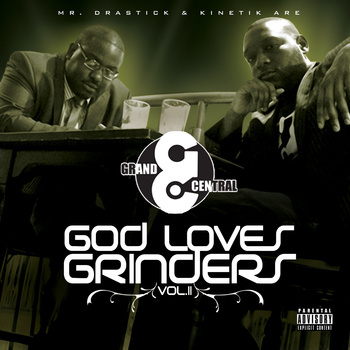 Kinetik and Mr Drastick, aka Grand Central, have decided to call time on their artistic partnership after successfully teaming up last year for God Loves Grinders Vol. I. Reading between the lines, it's probably no coincidence that just over a week ago the video for S.W.A.G. was pulled from YouTube after the pair - or at least one half... - decided the fashionista-baiting song wasn't in keeping with their penchant for making mature, earnest hip hop. Regardless, there's no bad blood between the two, but this is the last you'll hear of Grand Central, officially at least.